Share your new love with the world. Your sweet little man has finally arrived! Share the news with a perfectly sweet design. Your precious bundle of joy has made her grand debut, now let everyone know! 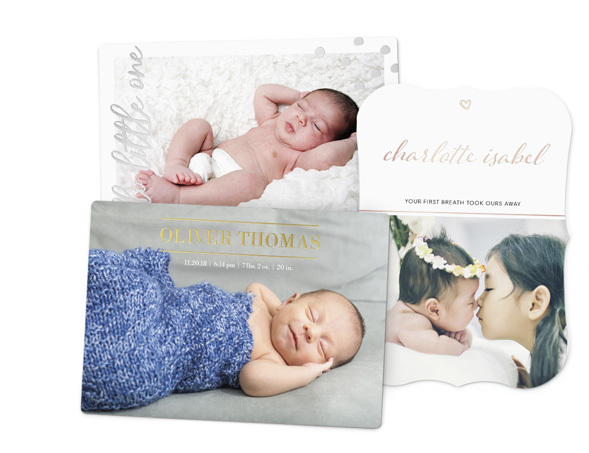 Show off baby's first photos with our Photo Birth Announcements, printed in stunningly vivid colors. Your sweet little one’s arrival is a once-in-a-lifetime event—custom Foil Baby Announcements are a perfect way to honor this shining moment in life! 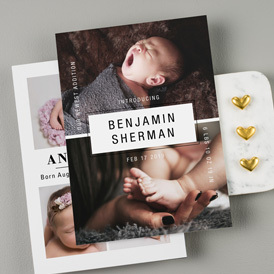 Choose from raised silver, gold, or rose gold foil and add it to any element on your custom Baby Announcement design. All your details and photos coupled with pretty foil will totally make for a dazzling design that friends and family will simply adore. I've used Magnetstreet for my wedding, and for both daughters first birthdays and everything always turns out great! I'll definetely be returning. These invitations will definitely leave guests in awe! The colors are so beautiful and vibrant; it's a brilliant design, really. The pictures were printed very clearly as well (drastic improvement in clarity compared to the last time I purchased the same style of invitations for my son's birthday back in 2013). THANK YOU MagnetStreet! Second time using this company - first for save the dates, and second for baby announcement. Both have been easy, fast and worth every penny! Will absolutely keep using again! We were searching for some affordable, yet cute magnets to give to friends and family after the birth of our son. After researching several options, we decided to go with this design and boy, are we pleased that we did. Not only did the magnets look larger than imagined, it looked good too! Your precious tiny bundle of joy has finally entered the world! 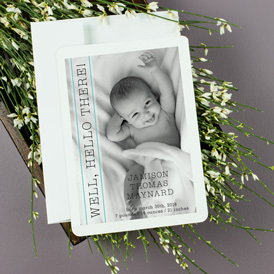 Share one of your favorite first moments with a personalized Birth Announcement. 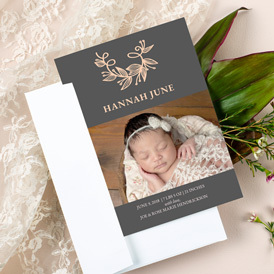 Friends and family will love the thoughtfulness of a newborn announcement with personalized text and precious photos of your new addition.